25 years is a long time to be married and a cause for celebration. To celebrate, create your own Pixum Photo Book especially for the occasion, containing pictures from the last 25 years of marriage and the wedding itself a quarter of a century ago. Also makes a great momento for your kids! 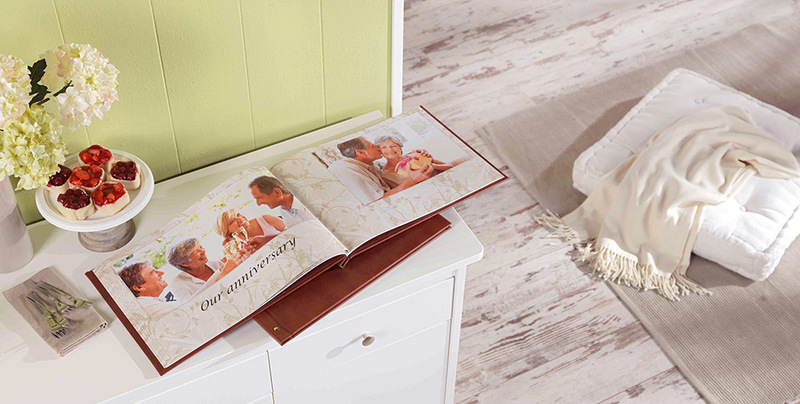 Select our lovely leather cover to give your pictures the beautiful framing they deserve. Want to thank your guests for coming? Then gift them a gift they'll remember forever, such as a Pixum Photo Book mini landscape. Perhaps you're creating your first Photo Book and want it to be extra special? 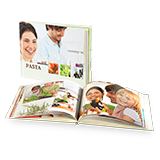 In our free Photo Book software, you'll find a whole range of different, designs, formats and colours.